Primafact 5 is the latest major upgrade to our powerful document management software for litigation practices. 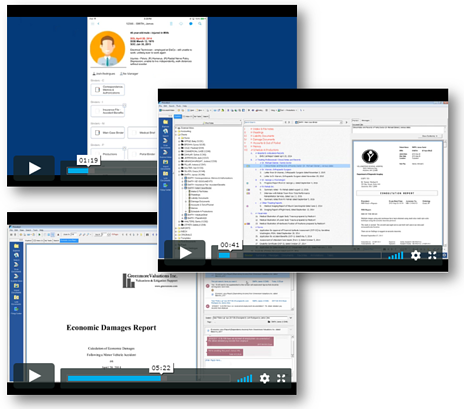 Litigators use Primafact to manage and quickly access evidentiary documents when preparing cases. This new version contains important improvements to annotations with issue coding, allowing teams to view case content by issue. Enhancements to document intake and processing, and advanced list views help you and your team work faster and more efficiently. Much anticipated Outlook integration features make bringing content from emails into Primafact quick and easy. A new intake screen, task management, and new mobility apps are just a few more features that version 5 boasts. As part of our highly anticipated release of Primafact 5, we are pleased to announce the arrival of complimentary online training materials. Firms using Primafact won't want to miss out on these resources to help them get the most out of Primafact 5! Schedule a Primafact 5 Upgrade. Get started by visiting the Primafact 5 Customer Center to learn more.